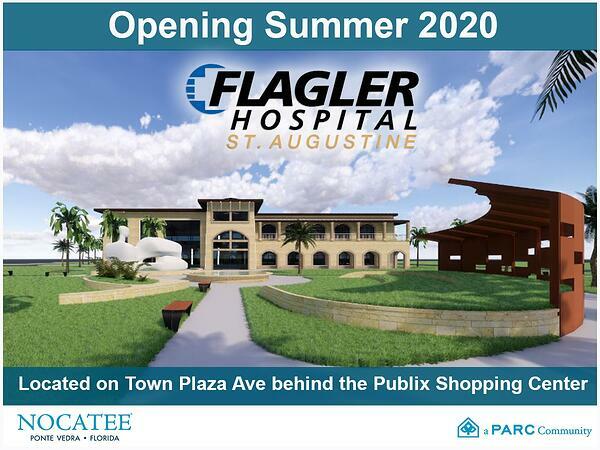 Flagler Hospital is pleased to announce its plan to begin construction of the Flagler Health Village at Nocatee. It will include dedicated green space for healthy lifestyle & arts activities, a community education and partnership center, family practice, pediatrics, specialty care and women’s health services. Flagler Health Village at Nocatee is slated to open in Summer 2020. Construction slated to begin this spring. 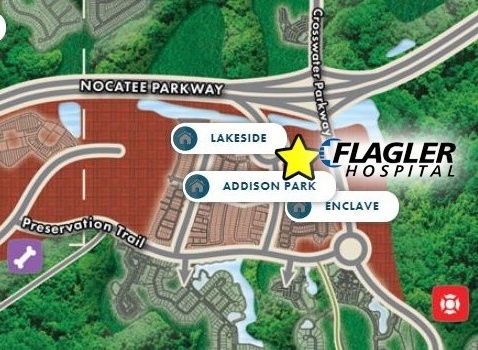 Flagler Health Village will be located on a 4 acre property adjacent to the Nocatee Town Center. See map below. While planning and design has yet to be finalized, the Flagler Health Village is conceptualized to include interior and exterior spaces that accommodate a wide array of community-centric offerings. To learn more about new homes in the Nocatee community, explore Nocatee.com, stop by the Nocatee Welcome Center or call 904-924-6863.